A stunning blow of a court ruling deserves a strong response. We have that in a measure introduced late Wednesday by Rep. Michael Capuano (D-Mass.) to counter last week’s U.S. Supreme Court campaign finance ruling. In a powerful rejoinder to a court decision that allows corporations to spend unlimited money on pet political causes and candidates, Capuano has introduced legislation that requires CEOs to receive shareholder approval for each and every corporate political expenditure. Public Citizen enthusiastically supports Capuano’s “Shareholder Protection Act” and applauds his initiative in working to rein in the damage the court is causing by unleashing unlimited corporate spending in politics. Last week, the court reversed 100 years of political tradition and ruled in Citizens United v. Federal Election Commission that corporations are “persons” under the First Amendment, entitled to spend unlimited amounts of corporate treasury funds to support or attack candidates. Never mind that corporations are not people, do not vote and were never envisioned by the Founding Fathers as “persons” under the Constitution. Five justices have taken it upon themselves to give corporations the same constitutional rights given to human beings. The courts have held that one of those rights is to spend unlimited amounts of your own money in politics. The problem with granting this right to corporations is that the CEOs can spend unlimited amounts of other people’s money – money from shareholders. This means money from the 401(k) retirement accounts of millions of Americans. Capuano’s legislation requires that these CEOs fully inform shareholders of candidates and causes to be supported or opposed, and receive shareholder approval for any political expenditure. All shareholders would get a chance to vote; board members and retirement fund managers could not simply vote secretly on their behalf. The Shareholder Protection Act will not solve all the problems of unlimited corporate political spending, but it could go a long way toward reducing the damage to our democracy inflicted by the court. We need other tools from the toolbox, though, including public financing of elections and, ultimately, a constitutional amendment clarifying that for-profit corporations are not entitled to the speech protections afforded under the First Amendment. Note: On the day the Citizens United decision was announced, Public Citizen launched a petition drive for a constitutional amendment to counter the ruling. Already, more than 23,000 people have signed. See http://www.DontGetRolled.org for more details. 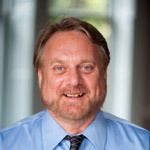 In addition, Public Citizen attorney Scott Nelson was part of the legal team representing former and current lawmakers in the Citizens United case. Craig Holman is the government affairs lobbyist for Public Citizen. Nice article. 🙂 Though the problem isn’t the constitution. The problem is the 5 justices who are adding imaginary rights to the constitution.